Artscape Youngplace is now accepting applications for a new Emerging Artist Residency Program. 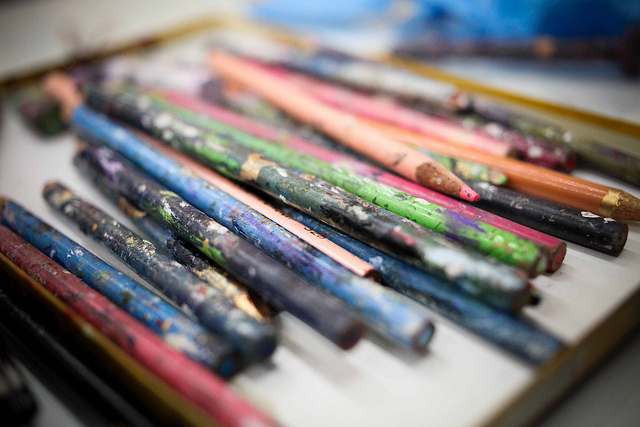 Successful applicants will be awarded free access to studio and exhibition space within the Flex Studios and Hallway Galleries at Artscape Youngplace. The deadline for applications is Friday, May 2, 2014 at 5:00 pm. Successful applicants to the Emerging Artist Residency Program will receive six weeks of exclusive access to semi-private studio space in the Flex Studios and a featured one-week exhibition in the building’s Hallway Galleries. Artscape Youngplace will offer promotional support for the artists’ activities as well as access to a larger private studio space for events, larger project work and documentation. Artists-in-residence will benefit from being within a growing community of artists in the Flex Studios program and at Artscape Youngplace, a vibrant new cultural hub in the heart of West Queen West. The residency program is open to emerging artists in all creative disciplines. We define ‘emerging artists’ to include current students and recent graduates of an arts-related degree/program or artists at the beginning stages of their professional careers. Six weeks of 24/7 exclusive access to a Premium Flex Workspace, which is approximately 100 sq.ft. of semi-private studio space with tons of natural light and wall space. The studios include access to a shared work sink, drying rack, kitchenette, secure storage, table, chairs and easel. Additional equipment is available upon request. A featured one-week exhibition in the Artscape Youngplace Hallway Galleries within six months of your residency. Promotional support for your residency and exhibition including a special announcement to the Artscape community. Additional promotional support may be offered depending on events and activities. Any other support materials including writing samples, press, etc.